The return of the Alpha Vampire, a demonstration of what the British Men of Letters can do, and some fractured family ties that are sure to be strained even further before it’s all over. 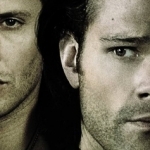 This episode was an emotional roller coaster that showed how different the Winchesters are from the rest of the hunting community and what potentials could exist if they all banded together. We pick up the episode immediately after where we left it last week, with Dean and Sam facing off against Mary over her involvement with the British Men of Letters. The emotion of that scene, with just the subtle word choices, was absolutely heart-breaking. Dean, who has been a man who eternally longed for his absent mother, has idealized the memory of Mary since he was a child. He never got to have a childhood, because he had to step up and take care of both John and Sam, so now that Mary is back in their lives he wants to have that familial connection. Unfortunately, Mary is her own person and, as we often find, the memory of something often doesn’t equate to the reality of it. Just the shift from Dean calling her “mom” to “Mary” was enough to make our hearts shatter. The family strain didn’t end with Mary and Dean. No, we also get Dean trying to push Sam to make a choice. He’s tired of his baby brother always playing the middle, trying to be the peacekeeper. Funny, because that’s what Dean was when John and Sam always went at it. Now Dean wants Sam to make the choice of whether he’s with Dean or Mary. But, like the smart man that he is, Sam’s going to figure out a way to align with both. He goes to hear Mary out when she calls, allows her to show him what the British Men of Letters has to offer, and then he gets a whole lot more education in the limitations of what they’re offering, too. I continue to love Mr. Ketch, as well as his calm indifference to emotional involvement. He is very much like Dean, as he pointed out. They both are killers, who need to fight or kill every few days or else bad things happen. The British Men of Letters would provide Dean that outlet, if only he would agree to join them. 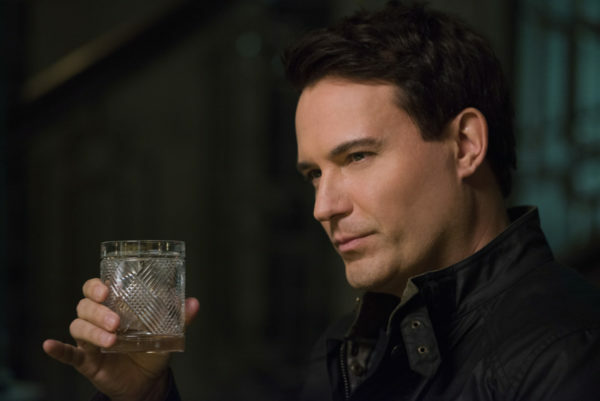 I think the reason I like Mr. Ketch so much, and more than Mick Davies, is that he has the experience that aligns more with the Winchesters. He has killed, he has fought monsters and gotten his hands dirty, while the rest of the British Men of Letters are much more removed from the fight. 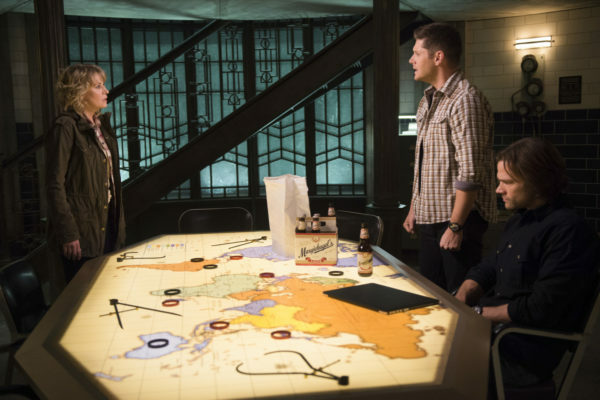 If they are to win, they need hunters like Dean and Sam and Mr. Ketch, because the war cannot be won from the safety of a command center. We also got to see some old favorites return. First up, the Alpha Vampire, who has not been seen for many years. I’ve missed Rick Worthy and his charming danger as the first vampire, the father of all. He is very upset over the British Men of Letters destroying his family, messing up the balance that is supposed to exist between monsters and hunters. And Sam gets that, he understands the anger, but he also has a way of turning the tide of a fight without his opponent being aware. And with the newly-recovered Colt in his hands, he can end the Alpha Vampire forever. 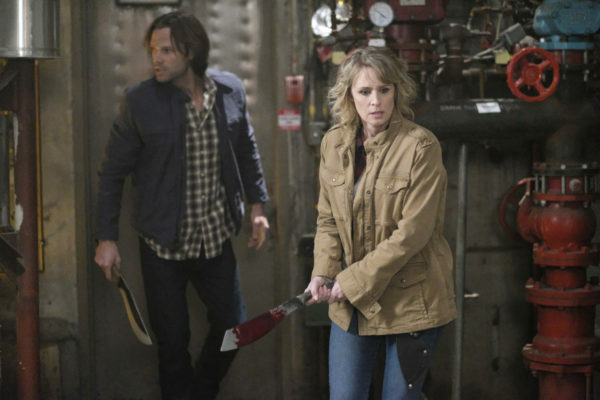 I’ve missed the gun and I hope the Winchesters can keep control of it, or at least have access to it when they need it. That gun is so intertwined with their family, it only seems right. 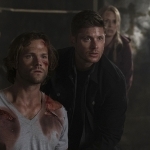 As we end the episode, the Winchesters manage to heal a bit of their wounds. Dean makes up with Mary, as the pull of love is more than the anger he feels over her apparent betrayal. And Sam makes a promise that he will align with the British Men of Letters, and that he will work on getting Dean to join as well. Sam knows they’re changing the world and he wants to be a part of it. With Dean at his side, they’d be unstoppable. I hope it works out for them all!